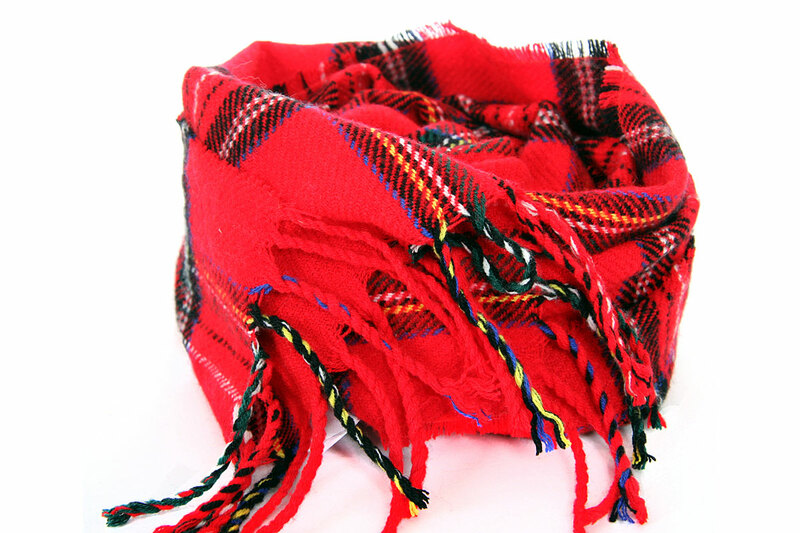 Multi Colored Plaids decorate this 100% acrylic scarf which is soft & warm to use. Can be used around the neck in multiple ways as it is narrow in width. Open end twisted fringe on the edges.